Discussion should always be in the Michael Jackson News and Discussion section, rather than in 2000 Watts. Also, the News and Discussion section should be kept free of frivolous discussion and endless threads that start by asking a random question. Actual news and serious discussion of important topics that have depth and a capacity for a long life, as well as the ability to create more traffic and more interest, is what we would like to see in News and Discussion. Threads that are in the News and Discussion section are posted automatically to the social media pages of MJJC. In light of this, topics need to be professional and above reproach at all times. Fluff topics and random thoughts/questions are perfectly fine, but they don't always need to have their own thread and can easily go in the MJJ Miscellaneous Thread, or the Epic Thread of Randomness. If members definitely want to make a new thread to discuss something, rather than post it into a miscellaneous or randomness thread, there is no problem with that, but they should give some real thought to the most appropriate place for it, apart from 2000 Watts or News and Discussion. It's our understanding that 2000 Watts is meant to be an upload/download facility, for audio and visual resources and is now a historical archive of material from many years of active searching, networking, sharing and regular transference of files between members. Some discussions seem out of place in that environment, in our opinion. This is a reminder to all MJJ Community members about these two wonderful projects. We have already received some beautiful letters, poetry and may even be receiving drawings, too, in the near future, for our pilgrim to take to Michael at Forest Lawn. Please start thinking about your messages and sending them soon, as our deadlines are fast approaching. I am on twitter, as well. You can pass this idea on to your MJ friends on twitter and they can DM me their contributions @glitterglove101 if they would like to. We have added a paragraph to the MJJC Forum Rules, regarding sharing of personal information. This is basic common sense, but it is expected that members will maintain their anonymity on this site and that they will also respect the rights of all others in the community to have anonymity also. Sharing personal information on the public forum, or via PM, is strictly prohibited. This includes information such as addresses, phone numbers, full names, e-mail addresses, etc. This is to protect your personal data and details of your identity, which would be held on MJJC servers, had it been shared in this way. Any information disclosed by yourselves, such as first names and locations, is at your own discretion and is your sole responsibility. MJJC will not be held accountable or responsible for repercussions, if personal security rules are not adhered to. This is the right thread, hun. I see that you've managed to become a Proud Member, just in time, so make sure you PM your letter and messages to me, right away and then I shall pass them on. 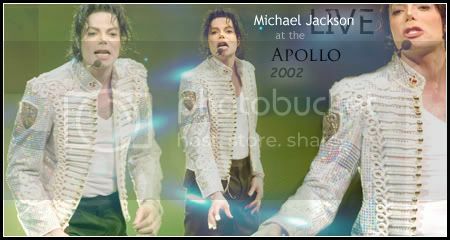 Project #2 - I've begun making the MJJC card for Michael. I will need to mail it to our Forest Lawn pilgrim in just two days, so if there is anyone who would like me to write a message into the card on their behalf, then please send it to me via PM, a.s.a.p.!! When it's finished, I'll take a photo of the card and post it in this thread, for everyone to see. Thank you for your reply! I just PMed you my two messages, thank you for making it possible, this is a nice project, I really appreciate! We have noticed a few comments being made, by members, either in reports, in threads, or just to each other, in conversation, that 2000 Watts is "a mess". We are interested in some feedback and/or ideas - constructive ones, please - about what is causing it to be a mess and what members would generally like to see happening, in that section. If there is something that we, the Administration Team, can do to help tidy it up, then we would be most willing to do that, for sure. Please keep in mind that it is our philosophy that it is the members who make a place what it is; so if 2000 Watts is messy purely because of behaviour and the way people treat each other, then that can be easily fixed by the members themselves deciding to act like mature adults. If it's formatting, general organisation of content, allowable/not allowable topics, etc., then we are happy to investigate this, over time. Thank you all, for your assistance in this matter. Forest Lawn Project #2 is finished. This is a card (on behalf of MJJC) for Michael. It will be taken to him by one of our members on the 25th June 2018. I will be posting it tomorrow....it's going to travel across the globe, twice....once to our member and then again, to Los Angeles and Forest Lawn. I really hope that somehow the card and our letters (Project #1) find their way inside Holly Terrace to be placed with MJ.....but if not, it's enough to simply honour his memory, cherish his words and show him our love. I think it turned out well....I hope everyone likes it. It's a concertina design, red, black and white, with a touch of yellow here and there. There are four panels, with something on each side of each panel, so eight faces in total. These images show how the card looks standing up. I kind of wish I hadn't put the silver glitter around the outline of the heart, but the sparkly glitter is a nod to Michael's love of bling, of course....and it's the same idea for the red and black sparkly jewels! I wonder if the truly observant ones can find my obscure use of the number seven everywhere on the card? Page by page...I didn't receive a lot of messages to go into the card, but that doesn't matter really....this is to Michael from all of us. Anyone who wants to write their own letter for Michael, still has until 17th June to send them to me in a PM. Mikky Dee!! This is amazing, what a fantastic job! Thank you so, so much you must have spent hours on this! The card is beautiful, I love the pics you took in front the sunflowers, great! I love the colors you used, and the little red jewels! All those photos of MJ and the little stickers as well, damn, you're good at this! Nicely done! Oh, I just spotted one little mistake on one of the quotes: ""Together let us create a symphony of hearts, marveling at the miracle of our children & basking in the beauty if love..."
Well, I'm so glad to see this card, it looks so great! Oh, thank you for your kind words. It did take me quite a while, but it was a labour of love. You guessed correctly, about the seven staples....there are seven on each seam. I also have rows of seven jewels, in most cases. I had to use four and/or three when making "2018" and the star shape, but there are seven, everywhere else. Thank you for letting me know about the mistake in the quote. That was a direct copy and paste from a quote site and then I just chose the font, so there must have been an error in the original write up of it. I have fixed that mistake now and next, I'm off to the post office to mail the card. Woo! Hoo!